Tourism Ministry staff re: species at risk legislation, ride-sharing, etc. TIABC’s Policy Positions can be viewed in full in the Members-only section of this website. Sudden closures of the Skeena River to sport fishing (Chinook), as well as rivers on Vancouver Island have wreaked havoc and caused significant economic and reputational damage to angling guides, resorts and communities in the North and on Vancouver Island. TIABC maintains that the Province should demand that DFO ensure in-river recreational fisheries get equal and fair treatment to those taking place in the marine environment. This means that exploitation allotments should be assigned equitably to all stakeholders and that any conservation measures be spread evenly amongst user groups (including commercial). The Province should also demand that DFO pursue an abundance based management regime that would utilize catch & release methods in non-tidal waters to ensure that angler access is preserved during periods of low abundance. In an effort to protect threatened caribou in several BC regions, the federal government is considering imposing Section 80 of Species at Risk legislation that would close enormous tracts of crown land for decades. Such a move would shut down more than half of BC’s adventure tourism companies, putting hundreds of people in rural communities out of work, and costing the economy tens of millions of dollars. For Transportation Network Companies to operate in BC, they must comply with the same system and regulations as taxi companies to ensure the safety of passengers, drivers and the public. These regulations would include, but are not limited to, a Class 4 license, dynamic pricing during slow periods of the day, and limits on fleet size. TIABC has called on government to affirm the Passenger Transportation Board as the body to maintain oversight of passenger transportation services for both commercial operators and new TNCs. TIABC has urged civic politicians across BC, as well as the provincial government to develop and enforce regulations to deal with the proliferation of short-term vacation rental (STRs) accommodation in dozens of communities across the province. STRs are contributing to lack of available and affordable housing for tourism (& other sectors) workers. TIABC continues to urge local governments to develop and/or enforce their own community regulations on STRs, to not only compel property owners to legally offer rooms for rent, but to level the playing field for traditional accommodation providers (hotels, B&Bs, resorts) who pay significant provincial and business taxes. The tourism industry is desperately short of seasonal and full-time workers, and has sacrificed significant industry revenues due to a shortage of labour across the province. The federal government has made significant changes to the Temporary Foreign Workers Program that is contributing to labour shortages. TIABC is urging the federal government to consider a Seasonal Tourism Workers Program similar to the Seasonal Agricultural Workers Program that allows for exemptions to the Temporary Foreign Workers Program (TFWP) under certain terms and conditions. go2HR and TIABC jointly produced two 2016 publications: Immigration and Seasonal Tourism Worker Policy Recommendations and Business Case: Seasonal Worker program. formula-funding for the organization so it is not vulnerable to annual disbursements at the discretion of government’s budgeting process. Dedicated, secured and performance-based formula funding for marketing needs to be implemented to ensure the long-term viability of DBC and the success of BC’s visitor economy. November 2014 letter to Premier Christy Clark is available to TIABC members only – click hereTo view the provincial government’s announcement of Destination BC and the explanation of how for the first year of operations the Crown corporation will receive the full funding that government has used for tourism marketing, and after that, funding will be set based on a percentage of annual sales tax activity and enshrined in legislation, click here. Of the 108 recommendations in the 2017 BC Wildfire & Flooding Report (Abbott), only six referenced tourism and its role in looking after affected visitors and residents. Industry and government must continue to work together to develop a crisis response plan, mitigation strategies, training for tourism operators, reputation management, and a recovery framework that allows businesses affected by a crisis to resume normal business operations. TIABC also urges government to integrate the tourism industry into its emergency management framework (e.g. legislation) given that it has a leading role to play when it comes to recovery, as well as communication and reputation. In-progress TIABC partnered on the production of two industry resource guides designed to assist tourism operators prepare themselves and their businesses for an emergency. A coalition of First Nations bands, tourism operators, associations including TIABC, communities and destination marketing organizations, called the Mid-Coast BC Ferry Working Group, presented the report: Tourism Development and Ferry Services: A Vision for First Nations and Rural Communities on BC’s Central Coast and North Island to Jobs, Tourism and Skills Minister Shirley Bond, Transportation Minister Todd Stone and MLA Donna Barnett (Cariboo-Chilcotin) in Victoria. To view the report, click here or visit the Aboriginal Tourism Association of Canada. TIABC member Tourism Golden requested a letter of support after Canadian Pacific rail company decided to close off an access point to the Kicking Horse River that is vital for the area’s river rafting companies. The letter sent March 2016 letter is available to TIABC members only – click here. Read Tourism Golden’s April 5, 2016 media release here. Read April 22 2016 update on resolution here. After the federal election, welcome letters were sent to all BC MPs outlining TIABC’s mandate and our four primary federal tourism issues: 1) labour shortages, immigration policy and the Temporary Foreign Workers Program; 2) pre-clearance and visas for low-risk travelers; 3) air access and capacity; and 4) increased and dedicated funding for Destination Canada. The entire November 2015 welcome letter sent to the Minister of Small Business and Tourism, Hon. Bardish Chagger available to TIABC members only – click here. TIABC provided a support letter for Tourism Victoria (TIABC member) who was seeking government intervention for a trademark violation by the Croatia Ministry of Tourism. The entire June 2015 letter sent to Minister of State (Small Business, Tourism and Agriculture) is available to TIABC members only – click here. TIABC provided a support letter for Tourism Victoria (TIABC member) who was seeking Canada 150 Community Infrastructure Program grant funding. The entire July 2015 letter sent to Minister of State for Western Economic Diversification is available to TIABC members only – click here. TIABC provided a support letter for Vancouver’s North Shore Tourism (TIABC member) who was seeking endorsement of a proposal for a new and expanded hotel in their destination. The entire July 2015 letter sent to review committee is available to TIABC members only – click here. The number of events is 10 or less in a calendar year. An application to the ALC is required if any of the above conditions are not met. To view the Ministry of Agriculture announcement of the eligible agri-tourism activities, click here. Discovery Coast Ferry Route – TIABC took a lead role and immediately commissioned a report to determine the economic impact the cancellation of this ferry service will have on the communities that rely on the Discovery Coast Circle Route. The entire January 2014 report is available to TIABC members only – click here. Connecting America was a TIAC/CTC initiative to seek additional investment from the federal government. TIABC advocated at the provincial level to support TIAC at the federal level to secure government support for this initiative. Full May 2014 support letter sent to Maxime Bernier, then Minister of State for Tourism and Small Business available to TIABC members only – click here. TAARA (Tourism Accommodation (Assessment Relief) Act) – TIABC worked closely with the BC Lodging and Campground Association to support this initiative by being another voice advocating for modernization of the act which was finally approved as part of the 2016 BC budget. Full March 2014 letter sent to Finance Minister, Mike de Jong available to TIABC members only – click here. 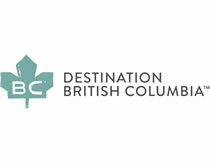 Destination BC Taskforce – TIABC played a key role in working with government to fashion a proposal that led to the creation of Destination BC. A key part of the proposal was to imbed within legislation an investment model to ensure long-term and sustainable funding for DBC. TIABC thanks the many members who were a part of this taskforce and devoted many hours to develop a sustainable model.